This is my pathetic attempt at decorating my room. 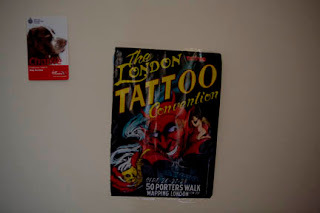 The London Tattoo Convention one is self explanatory the one with the dog is the business card that the policeman gave of his working dog. Just look for the earlier post.